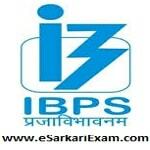 Eligible Candidates can Download IBPS RRB VII Scale II, III Exam Result, Marks at the Official Website of IBPS. Applicants First Logon to IBPS Official Website. Click on CRP RRBs Link on Left side of Home Page. Now Click open Common Recruitment Process RRB Phase VII Link. Click on View Result and Score of Officer Scale II/ III Exam Link. Fill Reg.No./Roll No./Date of Birth and Click Login Button. Check Marks by Using Login Details.